We built a new garage for our new electric cars. We insulated the garage so that we could heat it to 41 degrees with electric heat from our panels to keep the batteries from freezing. Hmmm, more room for PV! 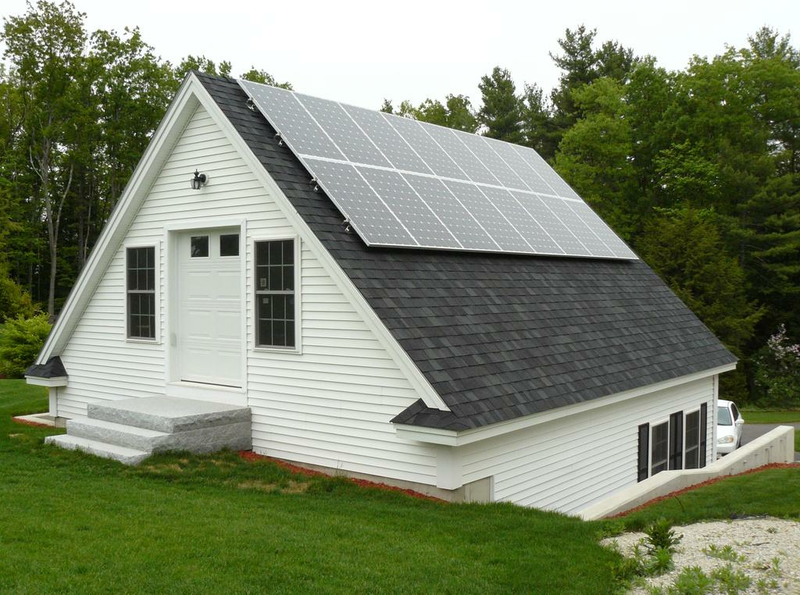 We used 16 panels with micro inverters and fed it by AC Coupling to our Xantrex XW system. That way, if PSNH goes down, the panels are still on the job! 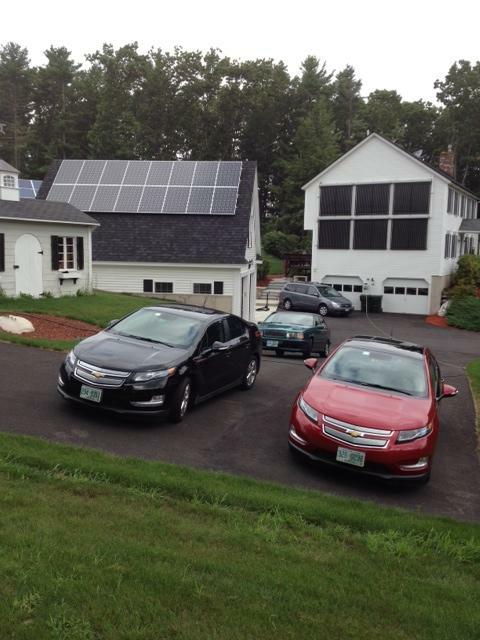 (16) 240 watt panels with micro inverters AC coupled to Xantrex system so that the roof is UP when PSNH is DOWN. Need for being able to provide 100% power to our home....no matter what. 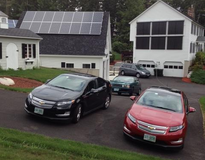 Garage solar was installed by Revision Energy's "Solar Army". They put a lot of guys on it. Done right in a day. 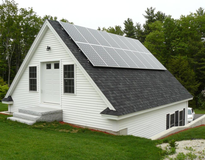 OCTOBER 5TH, 2013 from 8AM to 4PM Solar PV, Thermal and EV OPEN HOUSE 100% whole House solar electric, charging 4 electric cars, heating 4 garage spaces, heating a chicken coop, heating a cellar. 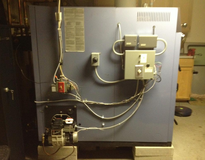 PSNH pays us…with over 6 Megawatts “in the bank” Possible !00% thermal with wood backup. See “stick on” PV, Tracker PV, Rack PV, Xantrex XW system, Battery system and a microinverter system AC Coupled to the Battery system. 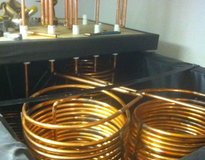 See a Tarm 2200 Wood/Oil FHW boiler, a 900 gallon heat storage tank and 180 evacuated tube Thermal solar system. See a 2011 Tesla Roadster 2.5, a 2012 Tesla S Signature Performance and a Chevy Volt.